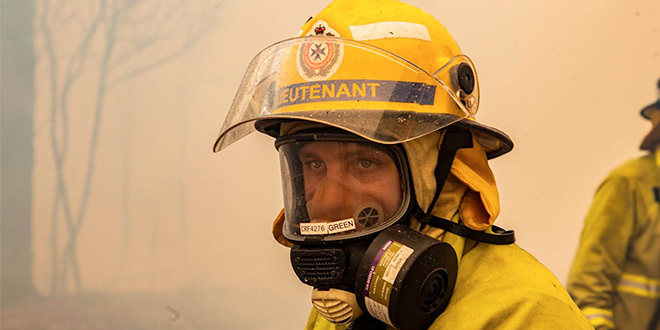 Line of duty: Firefighters out in the field in Central Queensland. 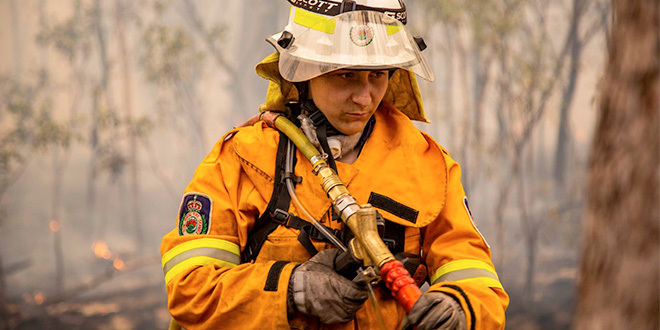 THE courage of firefighters battling to save lives and property has been recounted by a priest as Queensland turns to recovery after a fortnight of scorching conditions classified as “catastrophic” for the first time. “This was like hand-to-hand combat,” Finch Hatton parish priest Fr Don White said, describing how volunteer firefighters fought intense flames to defend their town of 260 in mountainous terrain west of Mackay. “It was quite remarkable that they were able to save Finch Hatton. They really saved lives, and saved property,” Fr White said. “I listened to the stories on Sunday and I was amazed at the effort. “They were fighting virtually metre by metre. In nearby Eungella, hectares of lush tropical rainforest were left in ashes. “We’re used to cyclones, not bushfires,” Fr White said. After a heatwave and tinder-dry conditions across Queensland, exhausted firefighters are preparing for more battles. In the heart of the danger zone, Rockhampton Bishop Michael McCarthy described the fires as “devastating” to the people. “It’s been a really tough time for our people. We are hoping for rain,” he said. Fire crews, police and volunteers carried out several big evacuations, the largest in the town of Gracemere, near Rockhampton, where about 8000 people were told to go. Flying over Gracemere as he returned from an Australian Catholic Bishops Conference meeting in Melbourne, Bishop McCarthy said he could observe fire “licking at the edge” of town. He hailed the spirit and generosity of the exhausted emergency workers and volunteers behind the scene as “absolutely amazing”. “God is there for us. Our people are being comforted through the work of emergency services and all the services supporting our people,” Bishop McCarthy said. From Deepwater where some of the biggest blazes sparked, the number of fires peaked at more than 100 across Queensland. At one point the fires stretched from the rainforests near Mackay where fires are rare, to North Stradbroke Island off the coast from Brisbane. 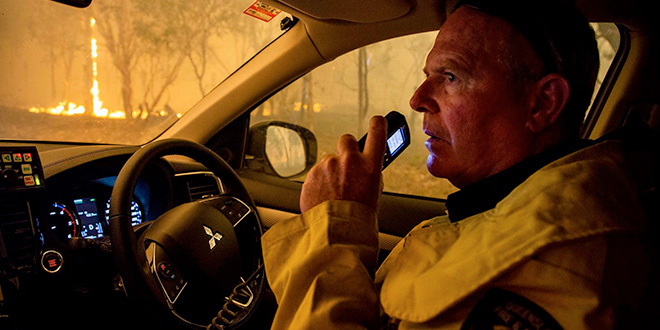 Even severe storms predicted to hit many parts of the state complicated firefighting activities with variable and gusty winds. Authorities warned some fires could reignite, while falling trees and landslides also posed a risk. When heavy rain and dangerously strong winds from a thunderstorm combine with freshly burned fire grounds, the threat of flash flooding on unsettled ground is increased. “The main thing is to look after our families, and our schools that are part of our big family, our diocesan family,” Bishop McCarthy said. He said Catholic communities across the nation had offered prayers for the people of Central Queensland. They have told him: “We are with you, we are praying for you”. “That is the comforting of our God in a time of stress,” Bishop McCarthy said. In recent times, charity efforts in Central Queensland have been directed to inland communities, suffering drought hardship. Some communities haven’t received rain in years. “The severe drought in the west is knocking our towns around,” Bishop McCarthy said. Rockhampton diocese has an Emergency Relief Fund, which can be used to support those who have experienced loss as a result of fire. To make a donation phone (07) 4887 3090 or visit www.rok.catholic.net.au/donations. Donations are not tax deductible.